EnFEM is a general-purpose finite-element-analysis (FEA) software for simulating 2D mechanical behaviors of solid materials subjected to various loads. 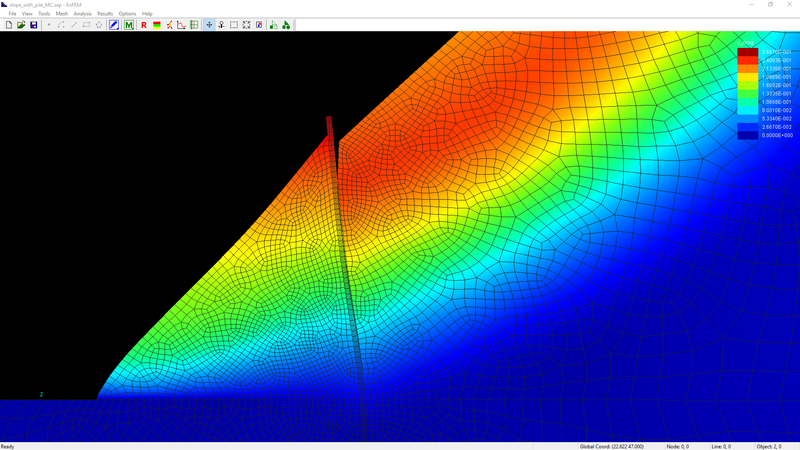 EnFEM is able to perform plane-strain, plane-stress, and axisymmetric analyses with an emphasis on solving problems in geotechnical engineering. EnFEM is equipped with a variety of linear and non-linear material models, boundary conditions, and element types, to provide solutions to a broad range of problems - varying from simple linear-elastic analyses, to highly non-linear, multi-stage soil-structure-interactions. These capabilities make EnFEM the ideal tool for geotechnical and structural applications, from simple to complex. 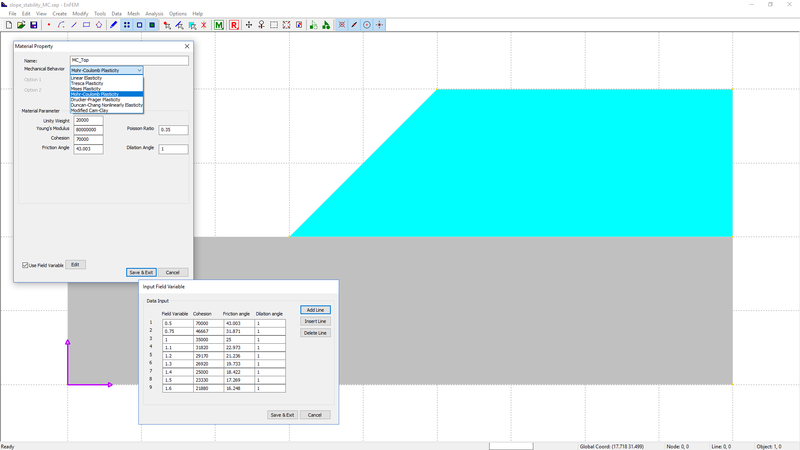 EnFEM uses a simple, singular CAD-like interface for geometry creation/modification, assignment of analysis parameters, and post-processing. An abundant material library includes a variety of linear and non-linear constitutive models applicable to granular and cohesive material such as soils. Advanced algorithms are implemented for generating first or second-order, quadrilateral or triangular finite elements, in either structured, unstructured, or combined meshes. Once the model file is built, a nonlinear direct solver based on multithreading and parallel processing optimization, is used for the solution. Upon analysis completion, the solution is available for visualization through multiple output options including; contour plots, vector plots, XY-plots, and cutline plots, for a wide array of categories and variables - including integrations (moments) and interactions, along a user-defined node path. EnFEM allows for multi-stage analysis in simulating sequentially applied loads, as well as geostatic (initial) soil stresses, and excavations. For geomechanical problems, an initial stress field is often specified as the first analysis stage, commonly referred to as a geostatic step, during which soil particles have stresses due to self-weight but are free of deformation. EnFEM takes user-specified input and estimates initial stress field for both normally and lightly consolidated clays. Soil-structure interaction with computational contact analysis, is common in geotechnical engineering. EnFEM uses versatile and robust approaches, including penalty methods, for enforcing contact constraints between conforming or non-conforming meshes. 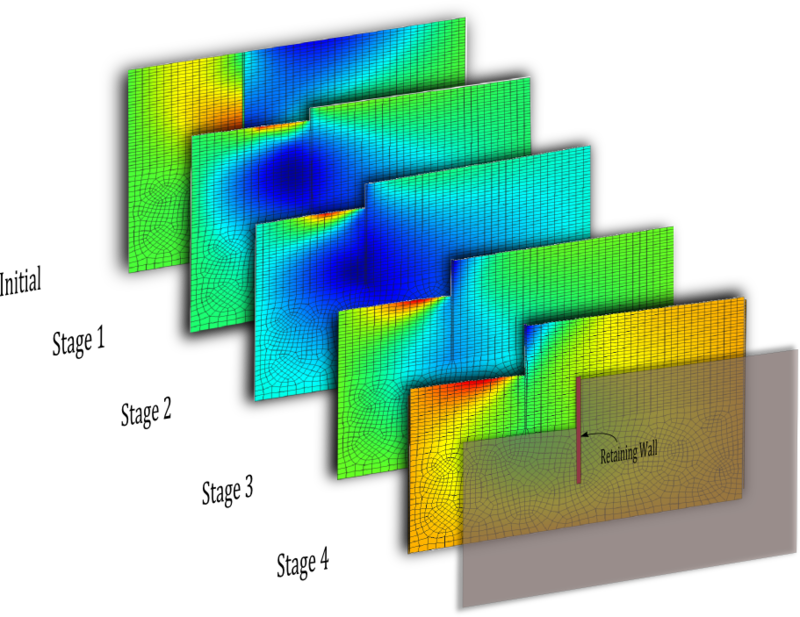 EnFEM is able to simulate material separation and finite sliding along contact interfaces. Both, tie, and free-face options are also available in EnFEM. 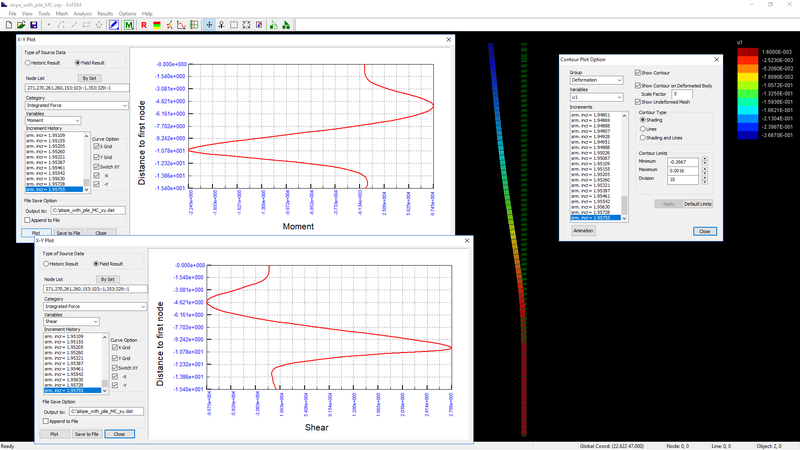 Additional material models including the Boundary Surface Plasticity model and Modified Mohr-Coulomb Plasticity are planned for future releases of the software.